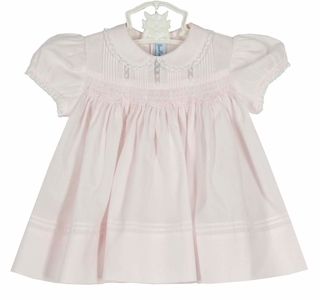 This darling little pink cotton blend dress features a pintucked yoke with delicate lace insertion above a smocked skirt. 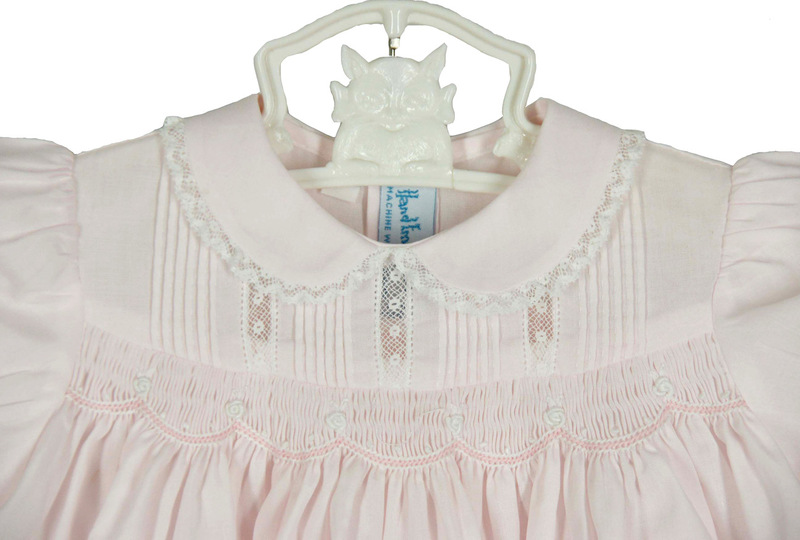 This sweet classic dress has a Peter Pan collar and short puffed sleeves accented with lace. The 3" hem is topped with pintucks. A back buttoned closure completes this lovely little dress. It even comes with a matching diaper cover! Perfect for bringing your new baby girl home from the hospital! Note: This darling dress is also available in blue or white. Coordinating pink bubble and sleeveless dress are available. See below.